When our son enters public school next year, he will already know how to read, write, add, subtract, multiple and divide. I suspect that you can get from any Montessori school. However, thanks to the assistance of Windsor Montessori he will also be confident, be able to focus and concentrate, be compassionate, be able to make friends, know right from wrong and be able to handle his emotions. That I believe is something special about this school - the teachers and their personal philosophy, to nurture each child for who they are and make them the best they can be. They don't just care about making sure your child is academically ahead, but they prepare them to be confident individuals, ready to tackle on any task and situation. There are many Montessori schools, but they aren't all the same. 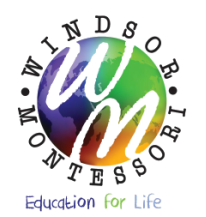 If you are considering a Montessori school for your child, I suggest you take the time to reach out to Windsor Montessori and see if they are right for you. We are glad we did. My son started at Windsor Montessori when he was 2 and has been attending for over a year now. In all this time he has never had one day that he is not happy to go and smiling brightly when I pick him up. The staff is very caring and patient and are experts in differentiated learning depending on the child's needs, both social and academic. Since my son began I have seen life skills taught at school, transferred to home, such as the organization of work stations and cleaning up. I love the myriad of cultures and multi-aged groups/children that my son gets to interact with everyday . I highly recommend this school. Don't forget to check WMS reviews on Yelp and Facebook!